The currency has reversed course, rapping the knuckles of investors who had been betting on continued gains. The unwinding of speculative trades could remove a useful source of inflows, and add pressure to the parched system. Still, adding more market forces is mostly helpful. 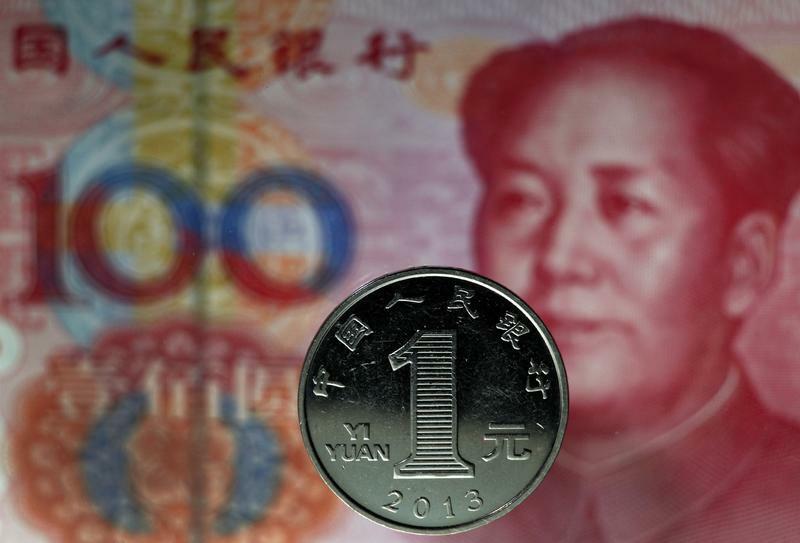 A Chinese one yuan coin is put above a Chinese 100 yuan banknote in this picture illustration taken in Beijing May 11, 2013. China’s yuan slipped to its lowest level since October 2013, edging towards 6.10 to the U.S. dollar, after the country’s central bank said it would let the range within which the currency trades widen in an “orderly” manner. The yuan traded outside of China, known as CNH to refer to its being quoted in Hong Kong, reached a level of 6.12 to the dollar on Feb. 21, before strengthening slightly to 6.09 in early trading on Feb. 24. The People’s Bank of China set the mid-point around which the yuan trades at 6.12 to the dollar on Feb. 14, compared with a one-month average of 6.11 yuan to the dollar. The currency can move one percent on either side of that price each day. The central bank said on Feb. 21 that it would broaden the trading bank during 2014, without giving details of when or by how much. The band was last widened from 0.5 percent in April 2012.